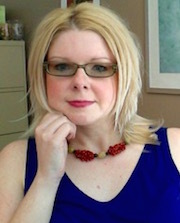 Anne-Marie Piché is a CRCF member since 2006, and is a tenured professor at the School of Social Work (École de travail social), Université du Québec à Montréal. Recipient of a Ph.D in Social Work (McGill, 2011), M.S.W and B.S.W (U.Laval), her research interests are international adoption and the development of domestic adoption policies in developing countries. She is also specializing in the analysis of alternative caregiving models in communities, in particular the social pediatry in community model (Fondation du Dr Julien-Centres de pédiatrie sociale en communauté). Anne-Marie is currently leading an investigation of Quebec’s international adoption reform; has recently realized a study of domestic adoption in Bolivia. She is also finalizing a process evaluation with Fondation du Dr Julien’s Garage à musique program; an intervention for vulnerable youth in Montreal combining collective music practice, adapted academic coaching and social pediatry care. She is also a lecturer at UQÀM’s École de travail social in methodology of intervention with individuals, couples, families and groups (B.S.W & M.S.W); Advanced seminar: Social Work intervention (joint PhD program); International adoption intervention (B.S.W); Field practice coordination (B.S.W & entry program); field practice seminar 1-2 (B.S.W).